Wikileaked : Casanova is now Thor. Oneworld said: You don't CB lah. Ask Casanova to play with you? 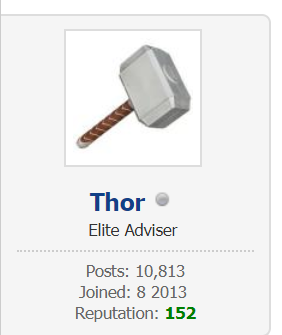 Rczone changed to Casanova then changed to Thor! Why does he have to hide behind different nicks? They ban this ban that while grabbing big points to fat themselves. Papie style. Casanova also said he was paid "director" level salary, dunno by which RC Zone. hillview said: They ban this ban that while grabbing big points to fat themselves. Papie style. Everybody knows you are RCzone! Everybody knows you are Casanova! Everybody knows you have become Thor! But why so secretive and deceptive? Yes. Come clean you dirty old man. Current time: 19-4-2019, 5:13 PM Powered By MyBB, © 2002-2019 MyBB Group.